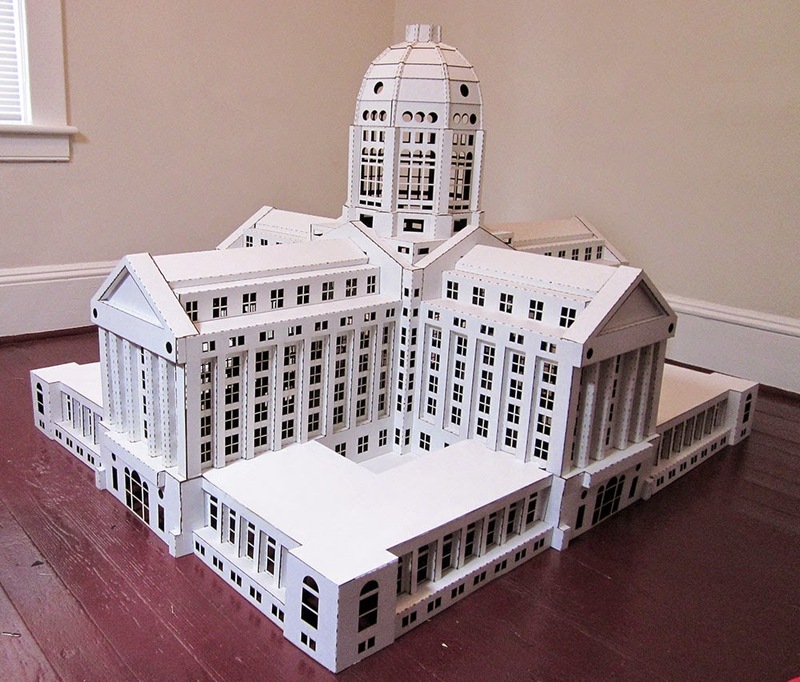 This quarter, I worked on large-scale models of buildings that have been destroyed. 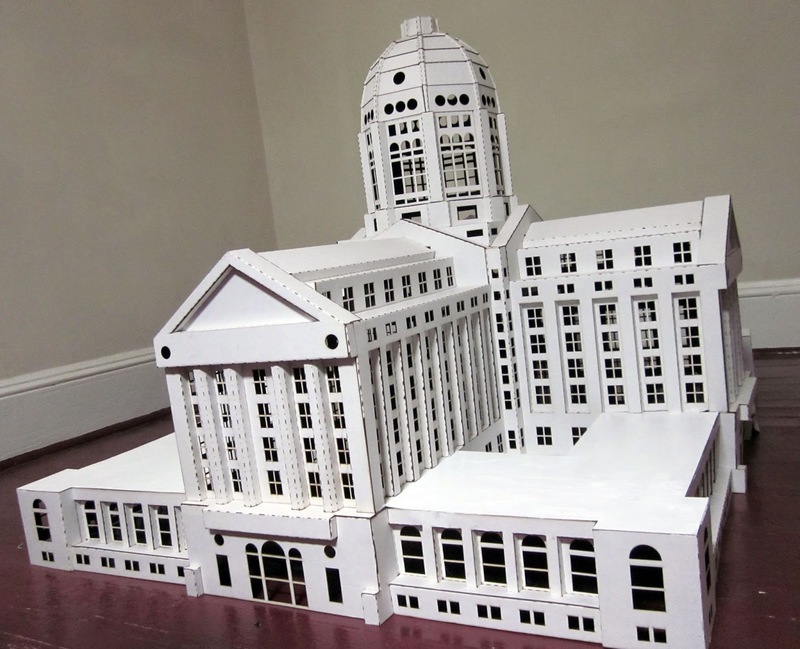 I used the Pepakura process to translate 3-D models made in Maya into cardboard. 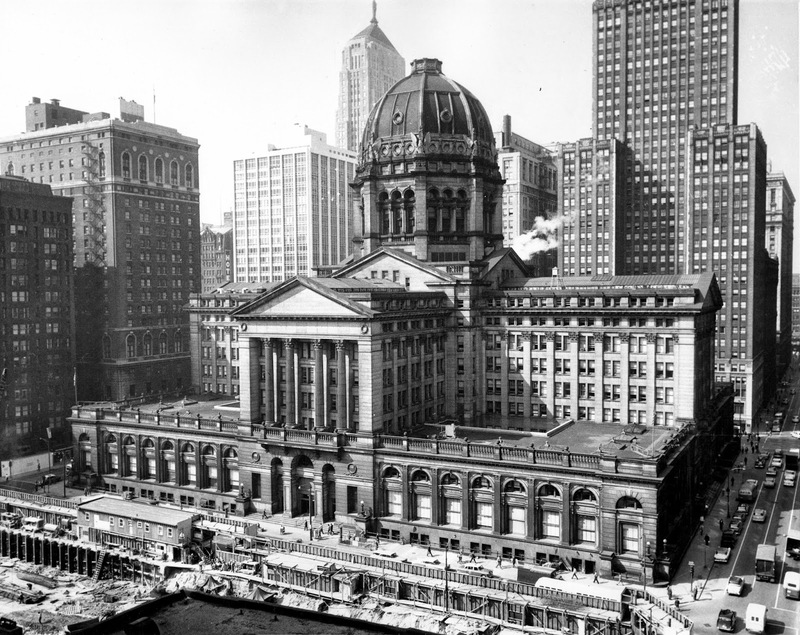 The first building I chose was the former Federal Building and Post Office in Chicago. It was completed in 1905, and demolished in 1965 to make way for a larger building. This is the resulting model. I still consider it a work in progress, now that I have the structure completed I will have to figure out how to finish it and how it should be displayed.